SPORAH TV: WHAT MAKES A WOMAN A BEAUTY QUEEN..? WHAT MAKES A WOMAN A BEAUTY QUEEN..? 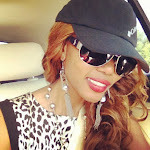 Support Your Local Beauty as she completes against mothers, daughters, wives, queens of industry. It is assumable that neither the Beauty Pageant nor Model Search will ever wane in popularity. More than two billion of us watch them on television and the internet every year. The various titles, faces and purveyors may change but the pageant has and will always be here. Contestants gain many personal, community and social rewards that make pageants worthwhile. The same can be said for the Miss Congo UK as it provides an obvious way to find particular types of people who are interested in doing something to Congolese Community. 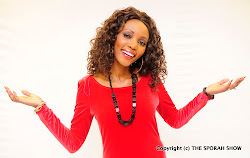 Miss Congo UK 1st July 2011. What Makes A Woman A Beauty Queen?? Nyuma kuwe kunaridhisha... Hii Muhimu sana. BEAUTY WITH A PURPOSE, I AGREE WITH THE LADY. LOOKING GOOD SPORAH AS USUAL. Beauty is not about clothes, make up. Beauty is about you - it should be inside you. Hey Sporah, I got this from Oprah Winfrey Best Friend Gayle. "What Makes a Woman a Beauty Queen?" Girl your on the right track. keep doing what you do your the best baby!!! Yo right Sporah, they all want FAME & MONEY. Most of them have no brain, Jst beautiful face. 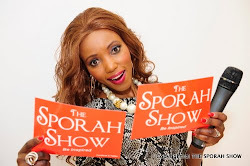 Sporah I really like the interviews you hold, they are pretty informative and real entertaining.